There are so many way to enjoy Corey sweet potatoes! Dedicated to our focus of working with quality and trusted vendors, we partner with a GAP certified packing line to ensure that our sweet potatoes are packaged on time and blemish free. This packing line is also PTI compatible, which means that our produce is packaged with a traceability sticker so that we can track each shipment when needed. 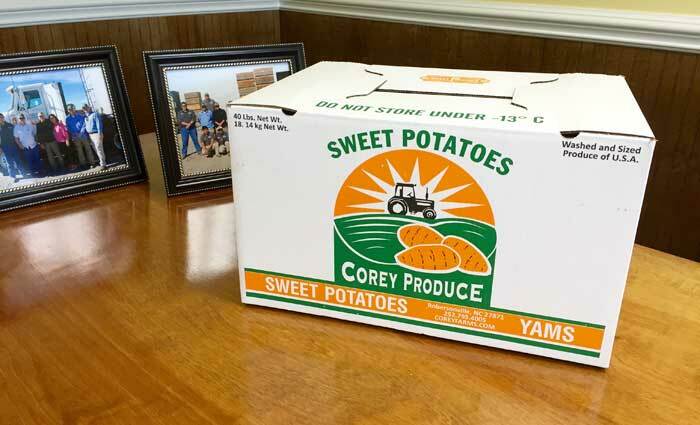 Packaging is an important step to getting customers the sweet potatoes they desire; therefore, we partner with a trustworthy packing line to make sure Corey sweet potatoes meet quality standards and customer needs.